Thailand has relatively strict laws concerning illegal drug possession and trafficking. 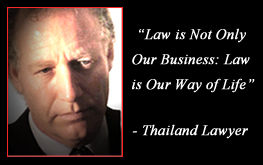 The Thailand criminal justice system provides for a right to legal representation and a right against self-incrimination. However, protection against illegal search and seizures are not as clear as they are in the USA and other Western nations. Although narcotic cases are heard in the Criminal Court, there are special prisons for drug offenders, and Thailand also allows for alternative treatments for offenders. Schedule I – Heroin, Amphetamines (ecstasy), Methamphetamines (Yaba and Ice). Those convicted of consumption or possession of any Category I substance risk up to ten years in prison and fines of up to two hundred thousand baht. Individuals in possession of more than twenty grams of a Category I substance may be sentenced to a variety of more severe “intent to sell” penalties, including the death penalty. Schedule II – Morphine, Cocaine, Ketamine, Codeine, Opium, Medicinal Opium, Methadone. Possession of certain Category II substances may legal in Thailand under very specific circumstances. Those convicted of possession or consumption of Schedule II substances in a manner that violates legal stipulations risk up to ten years in prison or fines up to one hundred thousand baht. Schedule IV – Chemicals used in the production of Schedule I or II Narcotics. Those convicted of possession of Schedule IV substances risk five years imprisonment and fines of up to fifty thousand baht. Schedule V – Narcotics not listed in the previous categories, including Marijuana and Magic Mushrooms. Possession or consumption of Schedule V narcotics can result in five years imprisonment or fines of up to fifty thousand baht. Thailand’s Psychotropic Substances Act and its Narcotics Act are two complex documents with specific regulations for medical professionals, elected officials, and a variety of other parties. These Acts are not the exclusive laws controlling the use of dangerous drugs in Thailand. There are other laws. The best policy is to stay away from illicit substance while residing or traveling in Thailand.